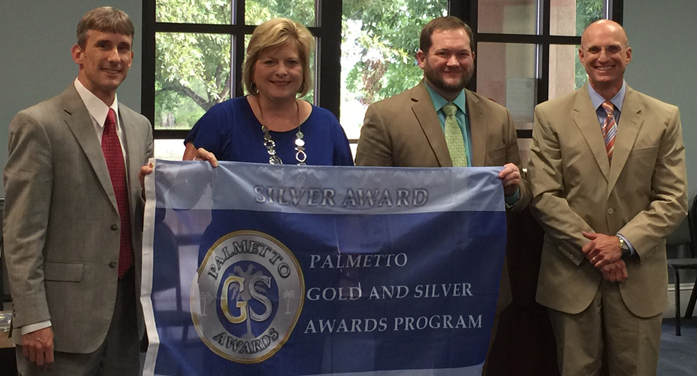 The South Carolina Department of Education released the winners of the Palmetto Gold and Silver Awards for 2014–2015. 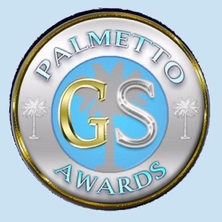 The Palmetto Gold and Silver Awards program recognizes schools for attaining high levels of general performance and for making substantial progress in closing the achievement gap between disaggregated groups. Two Edgefield County schools received Palmetto Gold and/or Silver awards for both General Performance and Closing the Achievement Gap. W. E. Parker Elementary received Palmetto Gold and Silver Awards and Merriwether Middle received a Palmetto Silver Award. These two schools were recognized at the June 21, 2016 meeting of the Board of Trustees. Pictured L to R: David Fallaw, Assistant Superintendent; Gaye Holmes, Principal, W.E. Parker Elementary; Derek Forrest, Principal, Merriwether Middle School and Dr. Robert Maddox, Superintendent.